Some regression is normal in all children — with and without learning disabilities or special needs. In some instances, however, students are profoundly affected by lapses in instruction. These students may be unable to store concepts in their long-term memory in a way that can be easily recalled. The amount of instruction they need to recover or "recoup" their abilities may be longer than other students need, and they may need additional instruction to catch up. The best remedy for regression is to prevent it from happening. Teachers can assist in preventing regression by recommending activities for parents to use over summer, winter or spring breaks. Age-appropriate activities such as doing reading activities together, calculating grocery bills and keeping journals and scrapbooks are fun ways for kids to apply skills in meaningful activities. For those students who have the most difficulty with recoupment, the specially designed instruction may be needed during breaks. Students with learning disabilities often fall into this category because they experience more regression than typical students their age do. Parents and teachers should consult school administrators to determine which students are eligible for summer instruction and to find out about services available over breaks. Such services may be referred to as Extended School Services, Extended School Year, Supplemental Education Services, or similar terms. Each of these programs has specific requirements for eligibility, and parents can find out more information on those requirements by contacting their school principal, counselor or district-level special education coordinator. In day-to-day specially designed instruction, teachers should include instructional activities to ensure maintenance and generalization of skills they learn. 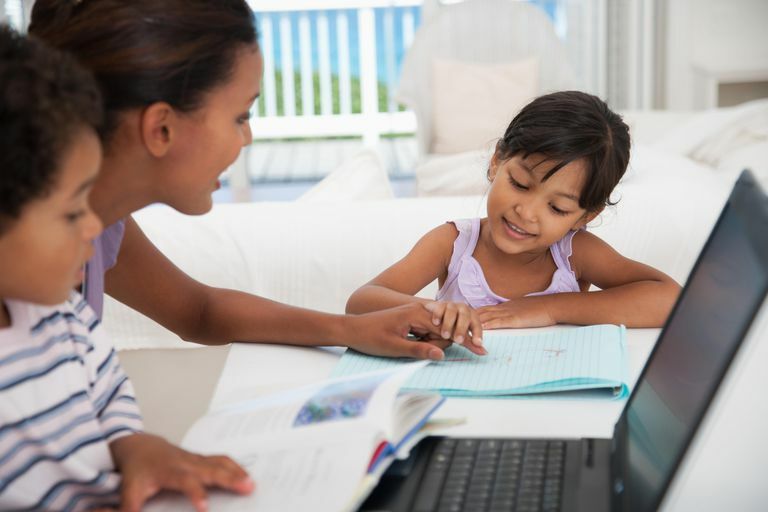 If your child cannot receive instruction at school during a break in the year, you may want to invest in tutoring or an educational camp of some sort to ensure she doesn't fall behind. If your child has a tendency to fall behind in math during breaks, seek out a math tutor. If your child falls behind in all subjects, seek out a well-rounded tutor with experience in teaching math, science and the humanities. If a tutor doesn't work out, consider enrolling your child in a summer camp with an academic focus. The camp will likely provide opportunities for your child to retain the skills she learned in a fun and positive way. The most cost-efficient way to help prevent your child from falling behind in class over breaks might be to buy computer apps, games or programs that reinforce the skills your child is likely to use. These materials can be fun as well, but your child won't be able to interact with her classmates while learning. Because children with learning disabilities already tend to be insecure about their academic performance, regression can serve to worsen their self-esteem. Even if he groans about it at first, your child will appreciate you taking steps to ensure he doesn't forget what he learned during the school year.